Aviation Updates Philippines - Airbus will have a major presence at the Singapore Airshow 2014, Asia's largest aeronautical and defence airshow, taking place from 11th-16th February. 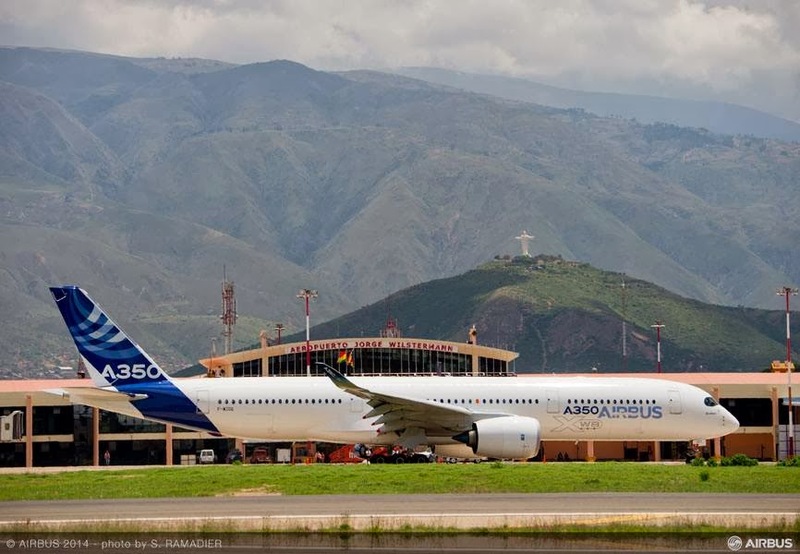 Airshow visitors will be able to enjoy the all-new A350 XWB flight-test aircraft performing its first ever airshow flying display on both, the 11th and 12th February. A full scale A350 XWB cockpit as well as an interactive A350 XWB model will be on expo at the Airbus stand together with models of Airbus' market-leading widebody product line and the successful A320neo. Guests can also discover Airbus' benchmark cabin comfort standards in a dedicated Comfort Zone at the Airbus tent, located on the static display area. Airbus will also broadcast a daily 30 minute live show, featuring Airbus experts and special guests. Airbus.com from February 11th will give more information. Members of the media are invited to the Airbus press conference on Tuesday 11th February starting at 2:30 pm at the Singapore Airshow main exhibition Hall, Room 5. Airbus recommends media to follow alerts for upcoming events and announcements which will be posted in the airshow press centre, at the Airbus Group Chalet and Airbus Group stand. The Airbus media relations team welcomes journalists to visit us at the Airbus Group business Chalet, CD19-CD29. The Asia-Pacific region is a core market for Airbus with airlines from the region accounting for a third of the company's total orders worldwide. Today there are more than 2,400 Airbus aircraft in service with nearly 100 airlines across the region and over 1,700 aircraft on order with Asia-Pacific carriers for future delivery. This represents over a third of the company's total backlog, reflecting the importance of the region as the fastest growing market for new civil aircraft.